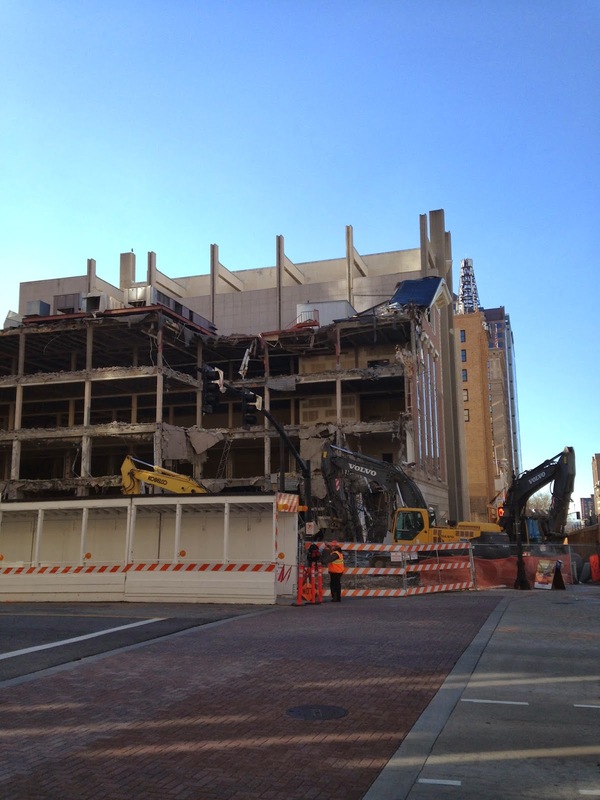 Couple exciting things going on on the southeast corner of 100 S Main in SLC. First, the city is building a new Performing Arts Center (PAC), which will be at 135 S and the real estate arm of the LDS Church is building a 24 story office building at 111 S Main. 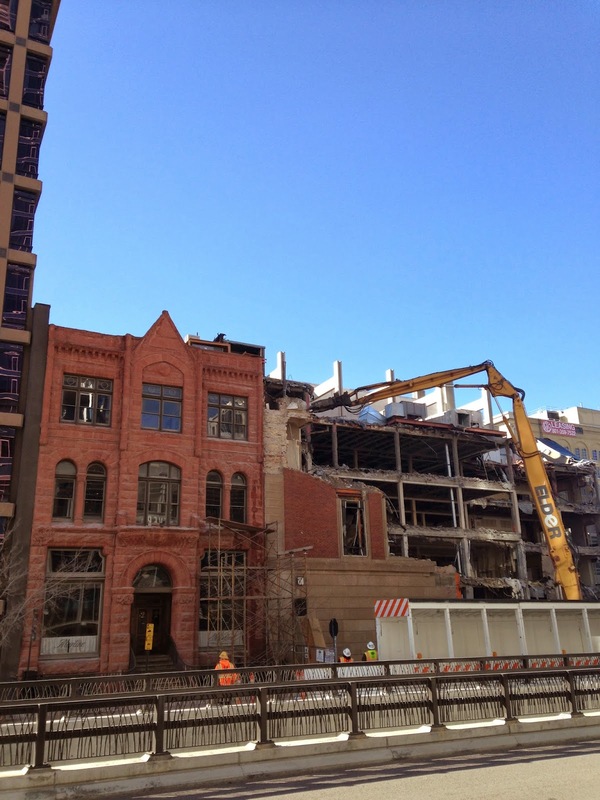 Construction crews are currently tearing down the corner (pics below). The new PAC is slated to have 2,500 seats, whereas Capitol Theater and Kingsbury Hall have a capacity of ~1,900. The larger number of seats as well as better equipped lobby, loading areas, backstage, and box offices will make it such that the new PAC can accommodate the large traveling shows (such as Lion King and Wicked), that previously had to take a pass on SLC. FAQ is here. Next door to the north, at 111 S, an affiliate of City Creek Reserve called 111 S Main LLC, is developing a 24 story office tower. The LDS Church affiliate recently acquired the interests on this project from Hamilton Partners, who recently developed the 22 story office tower nearby at 222 S Main. Both projects are slated for completion in 2016. I took both photos on March 8th (from the north). Exciting to see big projects going on downtown! Note: I'll be taking about a week off from blogging, but we'll see you next weekend. Why is everyone moving to Provo?